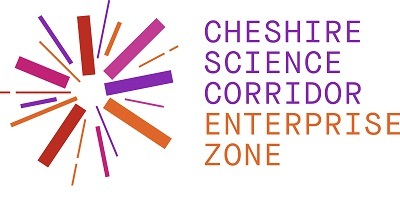 The Cheshire Science Corridor Enterprise Zone was delighted to sponsor Place North West’s Development Update, which took place on 4th October at the University of Chester’s Riverside Innovation Centre, to promote the benefits and opportunities offered by the EZ. The event, which drew in a huge crowd of property developers, investors and businesses from across the region, featured a panel presentation and debate chaired by Place North West editor Paul Unger and including EZ representatives Heather Standidge, Associate Director of Cushman and Wakefield; Paul Vernon, Executive Director of the University of Chester; and Chris Doherty, Site Director of Alderley Park, alongside Guy Butler, Chair of Chester Growth Partnership and Jim Nicholson, Chief Executive of Pochin’s. The key focus was on the significant opportunities for growth in Cheshire and Warrington and the role of the Science Corridor and EZ in supporting the area’s ambitious vision to double the size of the area’s economy by 2040. The Cheshire Science Corridor stretches across the Cheshire and Warrington sub-region and incorporates some of Britain’s most innovative and significant science based businesses including Urenco at Capenhurst; Daresbury Science Park; AstraZeneca at Hurdsfield; and Jodrell Bank. Rally cars and a race track were the focus of a cross-border business networking meeting that took place at the University of Chester’s Thornton Science Park. Thornton, which is home to the University’s Faculty of Science and Engineering, and also to many businesses in the advanced manufacturing, automotive, energy and environmental sectors, played host to the Mersey Dee Alliance (MDA) Innovation Network Business breakfast. The event was sponsored by Dayinsure Wales Rally GB, which was accompanied on the day by GoMotorsportand local rally clubs. Professor Tim Wheeler, the University’s Vice Chancellor, gave a welcome address to the event, explaining that the institution is proud to be a strategic partner of the MDA. The MDA Innovation Network is a bi-monthly gathering bringing together local businesses from the four local authorities partnering together as the MDA; Cheshire West and Chester, Flintshire, Wrexham andWirral. It offers a unique cross border networking opportunity, where businesses can showcase their offering with an exhibition stand, as well as the option to present a short two minute pitch about their business. Wales Rally GB – the UK round of the FIA World Rally Championship – is coming to the region between October 27 and 30, and will be based in Deeside. Following the business meeting, a mini rally track was created on one of the large car parks on site, to give delegates a flavour of rally car racing. Local rally clubs were on hand to offer delegates a passenger ride. Full details about Wales Rally GB can be found at www.walesrallygb.com. Pictured: Wales rally gb_1: Dayinsure Wales Rally GB sponsored the Mersey Dee Alliance Innovation Network breakfast, held at Thornton. Multi-million pound Intelligent Energy System Demonstrator project underway at University of Chester’s Thornton Science Park. 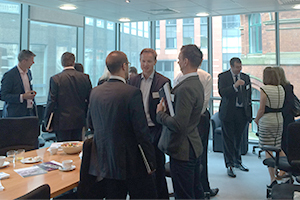 Local companies in the energy sector are being invited to engage with the project. 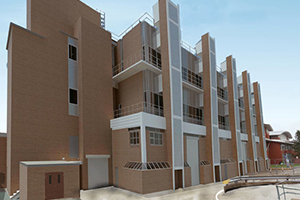 The University of Chester has appointed construction and regeneration specialists Willmott Dixon to refurbish and develop a large building which will house an Intelligent Energy System Demonstrator (IESD). The building sits on the University of Chester’s Thornton Science Park and the Demonstrator will be a flagship innovation project of the Cheshire Science Corridor – the new Enterprise Zone announced by the Government last autumn and developed by Cheshire and Warrington Local Enterprise Partnership. The project is due to be completed in spring 2017. Companies with an involvement in the energy sector are being invited to be part of the multi-million pound project which will, ultimately, shape the sector’s future. The team behind the Intelligent Energy System Demonstrator (IESD) project at Thornton Science Park is keen to hear from energy-related businesses who would be interested in being part of the facility, which will be aiming to aid the development of cost effective and environmentally responsible sources of energy. Drawing on the wealth of technical expertise, facilities and supporting infrastructures that are available on site, the IESD will be a space where industry can work alongside the University’s Faculty of Science and Engineering (as is happening already throughout Thornton Science Park). The Demonstrator will become a nationally significant facility, primarily aimed at supporting and enabling energy research, innovation and technology development, to meet the growth needs of the sector. Energy companies will be able to test at scale new power saving and distribution technologies, aiding the development of low cost, environmentally responsible sources of energy. The shared facility will provide a flexible place (including office and laboratory space) for research, innovation and development. It will house various equipment for industry and academics, providing the capability for researchers to ‘plug and play’ with a number of facilities, across all aspects of energy systems (conventional and unconventional) and smart grids. All manner of energy sources are expected to be available for testing including the electrical grid, gas, solar voltaic and steam networks. Professor Joseph Howe, Executive Director of the Thornton Energy Research Institute at the University of Chester, said: “The Energy Demonstrator is a vital initiative for the energy sector and its future security and sustainability and the University is thrilled to be hosting this project. This facility will become the showcase for new and innovative energy technologies, supporting their commercialisation and providing models for the generation, supply and management of energy too. Refurbishment and construction of the facility is being project managed by AECOM and includes delivery from Ryder architects, Arup design and WYG quantity surveyors. The project is expected to be completed by March 2017, allowing tenants to take occupancy in June 2017. Partners in the Cheshire Science Corridor Enterprise Zone (EZ) joined together to promote the benefits of investing in the EZ at the International Festival for Business last month, which took place at Liverpool’s Arena and Convention Centre. As the world’s top business event, IFB offered a great oppportunity to showcase Cheshire’s science assets, along with the opportunities offered by the EZ, to the 30,000 delegates that attended the Festival this year over the three week period. Representatives from EZ partners, including Cheshire West and Chester Council, Cheshire East Council and Warrington Borough Council, along with sites within the Enterprise Zone including Birchwood Park, Thornton Science Park and Alderley Park, were on hand to talk delegates through the opportunties offered by the EZ and the incentives available to businesses.